Who can afford the prices of Anthropologie? Not this lady. 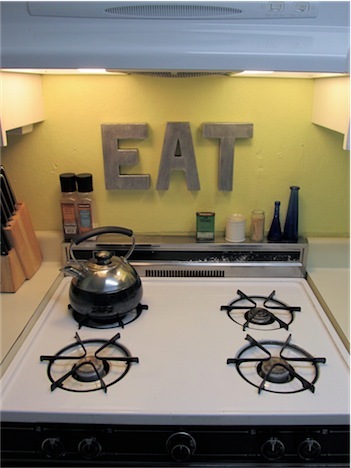 I’ve been looking for some art to put above our kitchen stove, and have been in love with these Zinc Letters from Anthropologie for a while. But at $18 a pop, there was no way I could justify buying more than one letter. 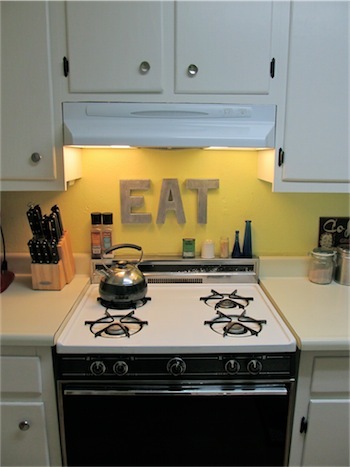 Instead, I made my own 3 letter word for less than $10. Booyah! Once again, Pinterest came through with some great ideas on how to make my own. I wish I could make $18 each on these things, cause they were easy peasy! Want to try this yourself? 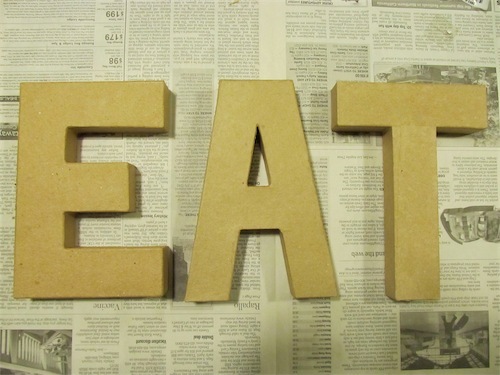 Step 1: Lay your letters out on newspaper. 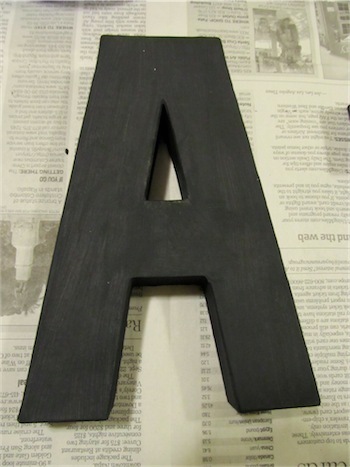 Step 2: Paint your letters with black craft paint. Let dry completely. 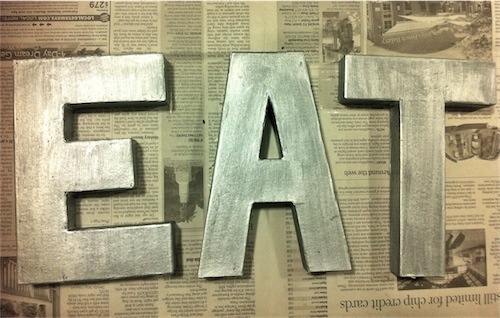 Step 3: Using long brush strokes, cover your letters with a coat of the metallic pearl paint. Try not to get this layer too thick, you want to be able to see some of your black coming through. 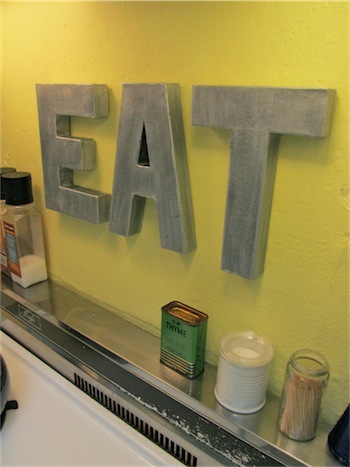 Step 4: Attach hanging hardware to the back of each letter. 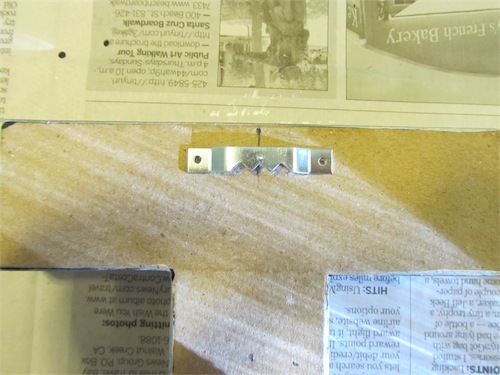 I hot-glued these self-leveling picture hangers in the center of each. Hope you have fun saving money and being crafty!